Caption slip reads: "Photographer: Paegel. Date: 1959-03-26. Reporter: Al Williams. 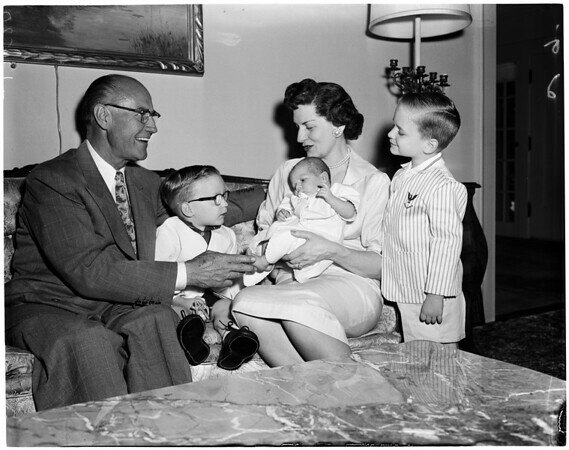 29/30/5/6: Councilman Callicott and family. Negs to Allan Williams".